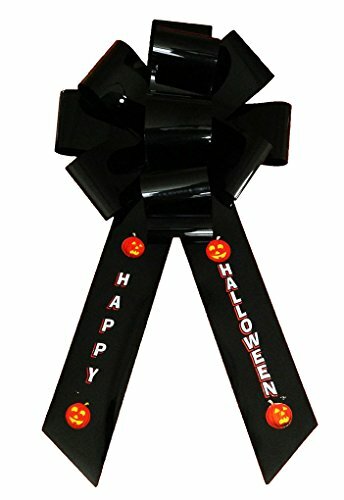 Show your Halloween spirit with big decorative big bow with the lettering " Happy Halloween" and some Halloween Pumpkins. You'll have all the little ticker treaters lined up at your door step for some candy. Big Bow comes with hook included. Bow measures approximately 25 inches and tail measure approximately 35 inches. One Big Halloween Bow per package, no other items are included.